Here it is, Monday 17th of May already. Can't believe how fast the year is going. I am having great luck with the Daily Paintworks website. I have sold a few paintings and it has inspired me to continue. 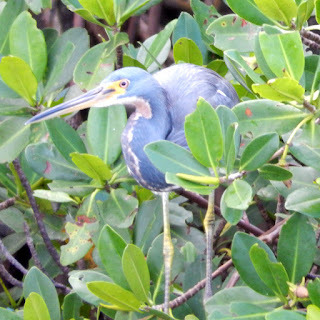 My next painting ( attempt) will be a little blue heron. This looks a little difficult to me. ( A challenge.) Will post pictures as I progress. I am painting small 6"x6" so it shouldn't take too long. I do however tend to take way more time than needed as I like to paint realistically.